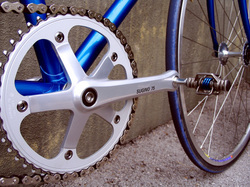 AD Cycle Repairs is a local business who provide a mobile bike repair in the Bristol area. Our professional workshop has been fully kitted out and houses the best tools for the job. We can offer all types of servicing, from puncture repairs and gear to tuning safety checks. We carry the majority of spare parts as stock. We also have courtesy bikes for hire to enable you to continue cycling. 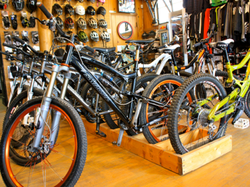 You will never have to be without a bike or have to take it to the shop again - we will come to you, at work or home! Many of our Prices are in some cases almost half that of our competitors. Why pay more? Alternatively phone our workshop and talk to us or leave a message. Remember Collection and delivery is Free*! Feel free to contact us if you have en enquirey. All prices are for labour only and are exclusive of parts. Full Basic Service £42.99 (Adult) £32 (child single speed) (Tandem service £52)This is the standard service to ensure that everything is fastened and adjusted properly to ensure safe and efficient operation of the bicycle. We recommend a Bronze Service as a minimum at least once per year. The bike will be inspected by workshop manager/mechanic upon arrival. A visual inspection will be carried out to highlight worn/damaged components. Critical replacements to be agreed with customer. If the customer does not want any parts renewed which may cause critical failure, the customer must sign a disclaimer. Gears set for optimum performance including a check on derailleur hanger alignment and resetting as necessary. All cables lubed and checked. Replace as necessary. Brakes set for optimum efficiency. All bolts checked and adjusted to correct torque settings as applicable. Tyres/tubes inspected and inflated to correct pressure. Manual cable brake service and adjust. ﻿Full ﻿Advance Service £75 The bike will be inspected by the workshop manager/mechanic upon arrival. Visual inspection made of all components for wear and damage. Replacements agreed with the customer. Transmission components will be cleaned/degreased. All Transmission components will be removed from the frame for the service/replacement. All bearings checked and adjusted (not serviced unless agreed with customer). All bolts checked for correct torque setting as necessary. Gears set for optimum performance. Wheels trued as necessary and rim wear checked. 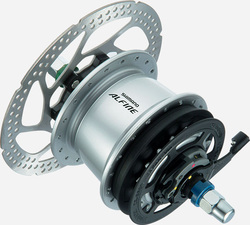 Brakes set for optimum performance. New brake blocks/pads as necessary. Cycle tested and signed off by mechanic. This is for a puncture repair and does not include a new tube. The service will include a strip down of the hub a clean and re-assemble and include all grease and oil Where necessary.This service will give your hub longevity and help remove some of the dirt that has worked itself into the hub. 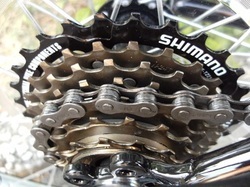 Shimano recommend a service 2 year or 2 thousand mile intervals. This is for cleaning only and does not include extra parts. Shock and bushing Service . Is your bike knocking and the shock has little response. 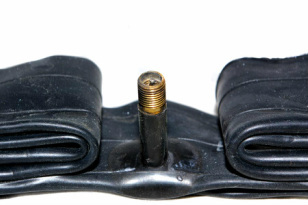 It may require a new set of seals and more than likely the bushings are warn and require replacement. The new bushings are up-rated and are of better quality than that of the original, this will give a better and longer lasting extended life. *Please note there is a minimum service charge of £35 for each call out. This does not apply to bikes delivered to our workshop in person.